Facts no longer matter. We simply decide how we want to see the world and then go out and find experts and evidence to back our beliefs. If that doesn’t work, you manufacture the material and hire spin doctors to spread the lies and misinformation more effectively. The truth doesn’t need spin doctors. Even the threat by US Attorney General (AG) Loretta Lynch that the FBI are going to examine the role of climate skeptics for charges under the RICO is deeply disturbing. It is the practice of leaders who hold a singular political view from either extreme to isolate and threaten. Totalitarianism occurs on the left and the right. While Lynch was threatening skeptics, President Obama held a press conference with Canadian Prime Minister Justin Trudeau at which they announced total agreement on the need to fight climate change. Both present themselves as leaders who only have the people and the planet at heart, but consider the actions of what Trudeau’s father Pierre did when his belief in centralized government was challenged. French-speaking people in Quebec with distinct cultural identity wanted to form a nation-state. After the First World War the principle of ‘the right to national self-determination’ were commonly used by international lawyers, national governments and their challengers. The demand that people should govern themselves became identified with the demand that nations should determine their own destiny. This does not change the point of the story. It was a gross over-reaction to take away all citizens rights and use the Canadian Army against Canadian citizens. Trudeau: Yes, well, there are a lot of bleeding hearts around who just don’t like to see people with helmets and guns. All I can say is, go on and bleed, but it is more important to keep law and order in a society than to be worried about weak-kneed people who we don’t like the looks of. Reporter; At any cost? How far would you go with that? How far would you extend that? Trudeau; Well, just watch me. To my knowledge that is still in place and provides a justification for those who seek one. The phrases used are easily adapted to the climate issue, especially when they are given legitimacy by the consideration of the Attorney General. When a story is spun, it is essential to capitalize headlines, which is why I repeat them here in that format. Everybody knows because of the Internet practice that capitals are the equivalent of shouting. They claim “THE WEATHER IS GETTING MORE EXTREME,” but provide no evidence. The reason they don’t is because it isn’t true. Instead, they follow the headline with comments about warmer temperatures across the US. Then they do what was done in the 1990s after a sequence of hurricanes ending with Andrew. Stories claimed that hurricanes were increasing in numbers and intensity. This was not correct, and investigation showed the actual increase was the cost of repairs, which was due to inflation and corruption as the cost of building materials sky-rocketed. The WH follows the temperature data with a section titled,”EXTREME WEATHER COMES AT A COST,” which again conflates inflated costs with increasing number and severity of events. The next section compounds the falsehoods with a headline that says, “CARBON POLLUTION IS THE BIGGEST DRIVER OF CLIMATE CHANGE.” It is followed by a subheading that infers a link without providing evidence. “Global temperatures and carbon dioxide levels are on the rise” is classic sleight of hand like those practiced by the IPCC between the certainty of the Science Report and the Summary for Policymakers (SPM). If challenged, they can say that they acknowledged the reality, but the deception is the method. In the case of the President’s web page it is more than a “little inaccuracy”, but the need to instill fear in the public is necessary to justify the agenda. Is this a case where fear of failing to instill fear led to abandoning reason? The answer is obvious. The truth shall rise again. I wasn’t the only person who heard that promise, nor was I the only one for whom that hope still rings loud and true. But before such a hope can be realized, we need to understand the implications of fears new prominence in our democracy. In the following chapter, I will explore why, in an atmosphere of constant fear, the public is more likely to discard reason and turn to leaders who demonstrate dogmatic faith in ideological viewpoints. These new demagogues don’t actually offer greater security from danger, but they’re simplistic and frequently vitriolic beliefs and statements can provide comfort to a fearful society. Unfortunately, the rise of these leaders serves only to exacerbate the decline of reasoning and further jeopardize our democracy. The quotes are from the master of fear AL GORE in his 2007 book “The Assault on Reason.” The truth is few exploited the false fear of global warming like Gore, and few made more money. I presume Ms. Lynch is going to apply the same reasoning of exploitation of fear and false information to Gore and the White House. I presume Ms. Lynch will apply the law to all skeptics throughout the world including the White House. If not it is another example what Obama claims to despise, American bullying. The White House web page is pure propaganda deliberately designed to strike fear so they can come to the rescue of people and the planet by declaring a state of emergency. This appears to coordinate with the AG giving legal weight to the political agenda by identifying the method and the enemy. It is those dastardly ‘deniers’ funded by the fossil fuel industry who dare to perform their legitimate task as scientific skeptics. I am still waiting for my cheque. Meanwhile the White House confirms that exploitation of fear does suspend reason, just as Gore said. …has been updated to reflect history more accurately. March 13, 2016 in Opinion. Having an opinion, backed by scientific fact, as opposed to the Establishment view supported by scaremongering and data manipulation, should be considered a possible crime by one of the highest authorities in the land, says a lot about America today. ..Obama makes Carter look like an Eisenhower type of president ..
And as for Eisenhower; he killed around 1 million German prisoners in the Rhine Meadow camps, AFTER the war was over, by designating them “Disarmed enemy forces” so as to deny access to the Red Cross, then systematically denying them food, clothing and ANY shelter through the harsh winter of 1945-46 – but you won’t read about that in the victors history books either. Another American hero eh? …Wikispooks ??? ROTFLMAO…put your tinfoil hat back on and take your meds ! The only think in dispute regards the Rheinwiesenlager is the number of dead. Official estimates are 10,000 (approx). A 1989 author claims as many as 1 million. The actual number can never be known and doesn’t matter – 1 or 1 million dead from incompetence is unacceptable. The conditions at the camps were unjustifiable and serve as an example egregious rationalizations people in charge are capable of which is the topic of Dr. Ball’s article. …to Marcus….you are wrong…those post world war 2 camps did exist and many German POW’s died of disease and starvation. Also…did you know that in the early 1930’s…the 3 Lieutenants they put in charge of routing, rousting and killing the homeless veterans of world war 1 who were camped outside of DC demanding that they be taken care of, paid pensions, etc….those three lieutenants were Patton, Ike and MacArthur….firing on ww1 vets and crushing their encampments…great patriots, eh? This is way off topic. Information about those camps is quite scanty. Obviously not a bright spot in the history of the US Army. I knew a German who was a POW in one of those camps. He said conditions were awful, but he didn’t blame the Americans. They just didn’t have the materials to house everybody properly. (Try housing a million men, all of a sudden, all soldiers and no telling who is out for revenge.) He only survived he said because he spoke English and he got better housing since he was then working for the Americans as a translator. He came to America to settle down after the war, with his wife, and became an American citizen. Not much resentment with him, apparently. Of course, no telling what he saw the German army do during the war. BTW, nobody knew that the Germans had given up the fight despite the surrender of the German govt. There were calls for continued fighting by some die-hards. Eisenhower was extremely worried about continuing fighting and did everything he could to prevent it. But, nice try. Here we are talking about the imminent heresy trials for climate skeptics by a completely corrupt American govt, and you want to criticize Eisenhower, probably our last decent President. I don’t think there was any great malice in Jimmy Carter but there certainly is in Obama. Obama said exactly what he would do before the first election. Hope and Change not withstanding. Nobody listened to what he said, they were fixated on Hope and Change. (including the Nobel comity). I have to agree. Carter was a terrible president but one without malice towards America. He was just wrong about everything he did. Obummer is a lot weirder. He blames American arrogance for the world’s problems (remember he was bowing humbly to some foreign leader while returning the bust of Churchhill in the White House to the Brits). He is an intellectual lightweight who believes he is wise and thinks Socialism is settled science. (He is concerned about what is good for Socialism, not what is good for America.) He is a race baiter and divider setting classes and ethnicities against each other in an attempt to “revolutionize” America. He is a lot of negative things — but strangely his one saving grace is that he is scared to death of being a leader. The happiest day of Obummer life will be the day his presidency is over. What is for him the unbearable weight of leadership will be lifted from his shoulders and he can go back to being the loud-mouthed pretend he has always been, free of all consequences from anything he says. After his presidency he plans to live in the Washington area — undoubtedly intending to be the loudest and most public ex-presidents the country has ever seen. He’ll strut and rant from that Washington stage — continuing what his entire career has been — an acting job. Obama is not an intellectual lightweight, he is an intelligent but ignorant ideologue, much worse. Socialism, while impractical, has many admirable attributes. You are too generous when you imply Obama supports a political / economic model with any admirable attributes. Dr. Ball more correctly describes Obama’s attributes as totalitarian and we should call him exactly what he is. The last few decades has shown that there is ample malice in Carter. LBJ was the worst president. He gave us the Viet Nam war, the failed war on poverty and the counter-culture of the ’60s. I am no fan of LBJ but the president who got the USA into the Vietnam war was John Fitzgerald Kennedy. Cmon now, LBJ? Who gave us the civil rights laws? Who retired rather than die in office with all the chaos that would entail? My nomination would be FDR, who introduced the massive all-powerful federal government and had (ultimately) a Supreme Court to go along with him. Let me withdraw my remark. It’s been subverted by the moderation pipeline. You could trace the blame back to Truman and Eisenhower after him. link Some people blame Robert McNamara. There’s plenty of blame to go around. I have always liked to think that JFK was a much better poker player than LBJ and would not have escalated but we’ll never know. LBJ gave us the entire 23 part entitlement system that subverted the Civil Rights Act and enticed most of the black population to convert from Republican to Democrat and to chase after freebees, creating a dependent class that would forever vote Democratic. Yep, LBJ was a winner, but NOT for best President by a long shot. JimB, Was that the same LBJ who after the civil rights laws passed was quoted as saying “Now those N****s will be voting for use for 100 years”? As to not running for re-election, he was so far behind in the polls that he stood no chance of winning anyway. Those rascals could not have done those things had Abraham Lincoln not gone on a killing spree to break the Constitution. Can the people be awakened, is there still enough time? Are the powers that be frightened, intimately aware of their crime? Can you feel the anger building, the increased rate of rage? As people begin to recognize, their ever-shrinking cage. Can you feel liberty shrinking, diced up into little cubes? Courts pretend to rule, as though we’re silly rubes. Can you feel the Revolution, the ever-growing vibes? People throwing off their chains, of blatant corruption and bribes. Can you get the humiliation, the years of pent-up fury? Millions rotting in prisons, no right to trial or jury. Can you feel all the sorrow, of all this Hope & Change? People have come to realize, their dreams were really strange. Can you sense the switch of direction, the move towards Change & Hope? As the crowds begin to gather, each…with a length of rope. It says a lot about the corrupt Obama administration only. The FBI will come back without a criminal referral because no crime has been committed. You can’t legitimately charge someone with denying something that doesn’t exist, like catastrophic human-caused global warming/climate change. Even if it did exist, there is no crime in denying it that I can see, if it is a personal opinion, not meant to defraud anyone. The FBI Director may be one of the few honest people in the Obama administration. If so, there will be no charges because no laws have been broken. And President Obama is definitely the worst president in U.S. history, IMO. Here’s one who must be in his pay: https://www.wunderground.com/blog/JeffMasters/comment.html?entrynum=3264 JAW-dropping, I tell you! Must have been hit with his own (original!) Hockey Stick! You may want to check your link because it goes to a blog post by Jeff Masters and you’re certainly crossing the line into the twilight-zone when questioning his integrity. It’s far fringe stuff like that as well as rants about an Obama third term and the mass arrests of climate change skeptics that gives climate change skepticism a bad name it neither deserves ,or desires. Announced in September 2015 and written by Tyler Hamilton. Note the scientists quoted from for this article. Tyler Hamilton, Adjunct Professor, York’s Faculty of Environmental Studies. …Well duh, how else is Obama going to get his third term ? CAGW will force him to declare a state of emergency and cancel all elections, for the good of the world, of course ! And I’m sure mini Trudeau will be right there behind him with his head stuck up Obama’s derriere ! 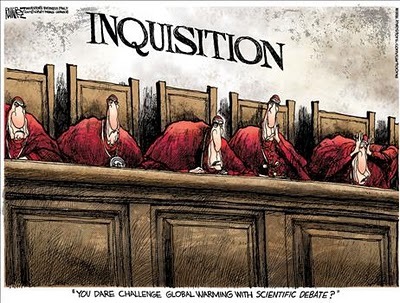 And when someone goes to trial after being arrested for speaking against global warming, all data to used for defense will be disallowed, leaving no possible verdict but guilty. That’s the future being built. Either that, or an executive order will declare that, like taxes, accusation is equal to guilt. I weep for our country, and would have given to despair if not for WUWT, where I find hope from the articles, and especially the comments that show I am not alone. We are many Stevan, WUWT has restored my faith in human nature more than any other single agency. For a very experienced retired civil engineer it was like coming home after a long time away. Anthony and his helpers have achieved an incredible thing here at WUWT. It is much broader than just the US, important as that is. I am from New Zealand, an electric power engineer in my 60s. WUWT, the authors and the commenters have stretched my mind and changed me for he better. The community here is just amazing, and It seems to me to contain a good number, if not a majority of scientifically literate folk, with moral fibre and not afraid to state their case. I understand. I weep for my children and grandchildren. Stevan. I believe with the press of time these climate hucksters will diminish to the background noise a mouse would make squeaking doom and gloom at a climate conference afterparty, the odds are against them. AGW is just the latest tactic being used to advance the agenda of big govt socialism. When it is abandoned, the same people will move on to the next lie. In the meantime, the programs put forth under the AGW umbrella will only be rolled back a little, if at all. When politicians use the phrase “if you’re not breaking the law then you’ve nothing to fear” when justifying ever more surveillance I think yes, but I don’t know what future law I might be breaking. Being sceptical of mankind’s influence on the climate and saying grows evermore risky, but that isn’t a reason to change your mind about the truth. Sandy: Whenever someone quotes that “If you have nothing to hide…” crap at me I just ask them: You’re driving along and suddenly a police car appears behind you with ‘blues and twos’ going – what’s your first thought? Every one of us unknowingly commits several misdemeanor and occassionally felonious acts each day. For example, to aid in the war against drugs, the federal (US) government passed a law that mandates all prescription drugs be kept in their original bottles with the prescription lable attached. This identifies the drug and who has the right to possess it. Sounds reasonable on the surface. However, a great many people, most notable seniors and the elderly, transfer their numerous meds to a pill case for convenience and as a reminder when to take their medication. They are all committing felonies. Many such laws are written broadly in order to give the government more leverage against the bad guys. They were never intended to be used against the otherwise innocent. Given the right (wrong) totalitarian government, though, they could selectively screw whomever they wish to silence. You always have reason to fear those whom have power over you. This is off the weather topic, but does illustrate your point, jtom. When I was a young physician, less than a year into my career (it was the early 90’s), I went into a patient’s room to find a very well dressed man sitting there. Before I could say anything, he looked at me and said, “Did you know that you are guilty of Medicare fraud?” I was obviously quite shocked, and not a little nervous, about what he said. I told him I could not be–I hadn’t been practicing medicine for that long, and besides, the clinic I worked in didn’t even take Medicare. He asked if it was possible that a person on Medicare could drive into our parking lot, find out we didn’t take Medicare, and then drive away. I said “Sure”, so he replied, “Then you are guilty of Medicare fraud”. He then apologized for surprising me like that, and explained that he was a former investigator of Medicare fraud for the US gov’t, and stated that the rules and regulations for Medicare/Medicaid were so numerous that almost any action you take will be listed as illegal in some part of the “manual”, and any action a Medicare patient takes, even if you don’t even see them, can be interpreted as fraud on the physician’s part. He also stated that any action you are explicitly ORDERED to perform in one portion of the regulations will be listed as illegal in another. He stated the only reason 100% of doctors aren’t in jail is because the government doesn’t WANT them in jail–yet. Heckuva way to start off my career!! I’ve heard that the tax laws make criminals of us all. You say also the drug laws! I do not remember what book it was from, but one of the minor characters in it noted that the purpose of the law was to make felons of everyone. After all, innocent people have no need to fear their govt. Make it impossible to go through the day without breaking some law, and the govt will own you. For the magistrate then has the power to destroy you if he wishes, or let you off if he wishes. All that is required for mercy, is that you dance to his tune. You described a mutual extortion society. These are common throughout the non-Anglosphere, and seemingly expanding quickly into the Anglosphere. The problems come when they change the law making what you were doing, illegal. Then they change the law to making thinking about it illegal. It is not a slippery slope, it is a cliff. Mountaineers know it is not the fall that kills you, it’s the impact. As always, impeccable and to the heart of the matter. I like it. Sadly seems to be true. Don’t count American citizens out, just yet. Let’s see what things look like Wednesday morning. We will have some clarity then, I believe. They are too blind to see that at some point it is going to be them against us. You underestimate them. They know exactly what they’re doing. Christians are being systematically removed from your police and military forces, which are trained to kill American citizens without compunction (InfoWars.) Their plans to reduce world population to 500 million are no secret (Dakota stonehenge.) Plans to make ~96% of the USA out of bounds to ordinary citizens have been reported on WUWT. Just hand over your guns and meet the fury of their eugenic religion. Sheldon Whitehouse, Raul Grijalva and Loretta Lynch? These green hooligans and fellow-travelling government thugs are clearly conspiring to violate the First Amendment free-speech rights of those who dare to disagree with them. The brownshirts were charged with pushing communists out of Germany, how are these communists brown shirts? So come on America, vote for a Republican. But preferably not Trump. Polling says otherwise. Cruz beats Hillary handily, Trump squeaks by. As Trump himself says: he hasn’t started on her yet. She has so many cracks that with a few taps she should fall apart like auto door glass. Just so that you Americans know (and not that it helps either way), theer are an awful lot of British people over here in the UK who are hoping that Trump is the next President. Don’t listen to our media (who are amazingly out of touch). I can tell you from speaking to people every day of my life, so many Brits are rooting for Trump. I’m not sure that the difference between Trump and Hillary is enough to matter. Continue electing professional politicians and you will continue getting what you have gotten from professional politicians. How many elections will it take for voters to learn this? If the politicians in DC wanted to fix the issues we have been debating for decades, they would be fixed. They create the problems (complex and unfair tax code, uncontrolled bureaucracy, mountains of regs, not being able to fire incompetent bureaucrats, SS funding problems, immigration problems), then claim the experience needed to fix the problems – but never do. They are the problem, and we need to fix it by removing them from Washington. I don’t care who people vote for as long as it is not for a career politician. You don’t have to hold office in order to be a professional politician. Trumps been a politician his entire professional life. Yet another timely, reasoned, and insightful essay by Dr. Ball. Thanks for taking the time. The USA is already a police state or nearly so, but we may not yet be as bad as Stalin’s USSR or Mao’s China … yet. But we have not followed the Constitution in many, many generations. Oh, we pretend we follow the Constitution but we just follow what the rulers want it to mean. In this case, the President is using totally un-physical theories of how the weather machine works to claim that he is in the business of “saving the world”. In addition to the probability being against any more than a tiny bit of warming, we have to remember that the alarmist team of [insert forbidden word here] who told us that what warming that would come would do so at night and toward the poles. A warmer night and a warmer Canada?!? What the heck is wrong with that? And the “luke-warmers” don’t help our side any by censoring and attacking the real skeptics. There is much controversy about what CO2 really does in the atmosphere — heck, there is real controversy about what and how the atmosphere in total helps to moderate temperatures on the planet. It is time to stop marginalizing those who reject the “CO2” warms the earth speculation. The bottom line is no one can prove that CO2 is warming the planet (in my view because it is not) and no one can tell us what the climate will be 100 years from now. For these reasons and many more, Obama is simply going for a power grab. A police state needs to be able to silence those that voice opinions the State does not want voiced. What better way to start than by putting skeptics in jail because they are “hurting our chances of saving the world”? ..Why do you think he wants America’s guns ?? Who needs a gun? When you can exhale more and destroy the planet. Whatever Obama may be doing for his part in the power grab it is worth observing that police action that was popularly and properly vilified a generation ago has become commonplace these days. The entire city of Boston “locked down”, everyone confined to their homes, while homeland security engaged in a manhunt for two suspects with out so much as a whimper in the press about police state measures. We are hearing more and more for civil law enforcement this expression of “lock down” which, so far as I know, only applied to prisons in danger of rioting not that long ago. Then Homeland security runs in with HumVees and “tactical units” that employ every bit of military not police tactics against civilians. Amazing! If you have nothing to hide why should you object? Because that sort of behavior by police is Unamerican and has been battled against for the entire history of the country. Lynch would seem to be an appropriate name. Loretta Lynch should be impeached and banned from any office. Impeachment applies only to elected officials. Loretta Lynch was appointed, therefore indictment is what applies. The President, Vice President and all civil Officers of the United States, shall be removed from Office on Impeachment . . . Appointed Judge Alcee Hastings was impeached and convicted and booted off the bench. Yes, Lynch can be impeached. As soon as he got out of jail, he ran for congress and won easily. The use of fear for control has been around for a long time. Captain Bligh: Remember, fear is our best weapon. From Mutiny on the Bounty. I’ve been audited by the IRS 3 times in the last 6 years and so have a few of my friends. This documentary highlights just a few of the efforts made by some of the biggest names in Climate “Science” to silence a skeptic. The main clip starts at 49:28 and another starts at 38:34. BTW, this tactic was outlined by Saul Alynski, “Blame Others Of What You Are Guilty.” Every criminal points the finger at others to deflect blame. The whole purpose of these lawsuits and threats are to throw the scent off the truly guilty. That is why I keep going back to the idea of an open source, crowd funded and/or X-Prize approach to a temperature data reconstruction and climate model. No way would the Hockeystick and IPCC Models be recreated if people understood what went into creating them, Real science is done through 1) Reproducible (which the Hockeystick is not) and 2) Models being validated with a high R^2. No way would the public allow “Mike’s Nature trick to “Hide the decline” and any climate model that reduces the significance of CO2 in any of the IPCC models will have a greater R^2. All one would need to do is take an existing IPCC Model, reduce the coefficient assigned to CO2, or even eliminate if from the model, and I bet the R^2 would increase. It would be that simple. The existing models clearly have exaggerated the impact of CO2, and that is why their forecast of temperature tracks CO2 and not the actual temperature. They have a CO2 forecast model, not a temperature model. Temperature tracks the amount of radiation reaching the earth’s surface, not CO2. That is why every control for CO2 like the deserts and Antarctica don’t show any warming, and Mars, with 20x the CO2 of earth, shows such extreme temperature swings between day and night. The Russian model seems to be fairly accurate in reproducing recent tropospheric temperature. That one would be a good start. If that is their official ‘state model’ it also explains why the Ruskies aren’t getting too upset about this whole farce…. This is in fact the postmodern approach to philosophy, where the mantra that ‘reality is a cultural construct’ has been somewhat…misinterpreted. Reality as we experience it, may well be a cultural construct, but it isn’t a totally free choice. The postmodernists seem to deny that there is a Reality behind and governing the reality of our perceptions. This is tantamount to believing in Magick, that Reality is conformant to our will and choices. Which of course denies the metaphysical assumptions of science altogether, which is that there is, behind the reality of our Perceptions, a Reality, even if we can’t completely grasp it. I wanted to make this point because I think it really summarises the nature of the struggle – maybe the war – that is going on between rationalism and anti-rationalism. Of which climate change is just a small part. For sure, we can show philosophically that reason doesn’t provide all of the answers, but it is a major step to them declare that it provides therefore none of the answers, and what counts is faith and belief…in climate change, in political correctness, in cultural diversity or whatever the latest fashionable bigotry is to be. If it were true that the world conforms to our beliefs, we would never have developed Science. The whole point of Science was to explore the humble proposition that Something Out There, be it a God, Gods, Spirits, or Natural Mathematical Laws, was rather in charge of stuff we had very little control of, and if we could guess at its Laws, we might be able to second guess the future. And to an extent that has been spectacularly successful. So successful that it has given rise to those in charge of Black Magick, which today we call Politics and Marketing, a severe case of (https://en.wikipedia.org/wiki/Physics_envy) ‘Physics Envy’ . They seek to usurp the perceived qualities of Physics, and ascribe them to not hypotheses of a testable nature, but emotional narratives of a metaphysical (untestable) nature. Since the Druids, and other shamans, it has been understood that power over men consists in having charge of and control of their beliefs. The terrifying prospect of the latter day shamans who run the media, and infest the pages of the Sunday papers and the screens of the mass media, is that if enough people understood science and its underlying philosophy, they would be able to counter belief in falsehood, by means of mere observation. It is after all no warmer today than 50 years ago, so global warming has to be a load of bullcrap. And this is why there is today an full on assault on ‘reason’ by those who will tell you that what counts is ’emotional intelligence’ and that doing wrong is not wrong ‘if you sincerely believed it was right’ (Tony Blair on Iraq), and in fact the phenomenon of the Left is, it seems, precisely about these ‘values’, that what counts is not what you can do, and do do, to alleviate human misery, but what good intentions you hold! And that is why these people can gaily travel 12,000 miles by first class airliner to a climate conference, because what counts is not reducing emissions, it’s altering the perceptions of people to see emissions as a Sin. And that is why these people will gaily allow millions of culturally antithetical immigrants to flood their countries, because at some level to deny them access would make them feel guilty. This is why “Hands Up, Don’t Shoot”, “CO2 is a pollutant”, “Ocean Acidification”, “Global Warming Increase Snow” and other patently false narratives can stay in the public discourse despite their obvious inaccuracy. Each of these can be proven wrong with a simple link to the DOJ, a greenhouse growers website, a pH table, a meteorological description of snowfall amplification by cold. Yet, people do not want to embrace the facts because it is a “just” cause they support – racial justice, warming planet, protecting ocean life, climate change. Our society’s current willingness to live in a “fact free” world results in the dramatic polarization we see among factions. If there are no absolutes, where is the central basis to build agreement upon.? ..It is ONLY the liberal left that lives in a fantasy world of Unicorns, Elves and CAGW !! Thanks Leo. Always interesting comments. I sympathize with your views, Leo, but need to add that there is no necessary “metaphysical assumptions of science … that there is, behind the reality of our Perceptions, a Reality,…” Science is about deriving explanations for our observations. Observations arrive. In deriving an explanation for them, there is no need for an assumption regarding their source. We can deduce a falsifiable explanation for their source, (the physical universe), but that deduction is not a metaphysical assumption. Science would be the same if we were all brains in vats being exposed to hallucinations (which, in some senses, we are). Also, let’s not let the scientific establishment off the hook for the AGW scare. Postmodernists can yowl about cultural text all they like, but they would have no effect on science were it not for the fact that the American Physical Society, the American Institute of Physics, the US NAS, the Royal Society, and all the rest willfully swallowed the poison and bugled the fakery for the past 25 years. 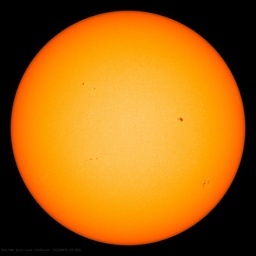 Were the physics establishment as skeptical of AGW as they were of cold fusion (rightly or wrongly), we’d not be in this mess today and the postmodernists would be confined to their academic playpens. A huge portion of the fault lays with them. Postmodernists have just moved into the vacuum created by the new default of dishonesty of the physics establishment. It wasn’t the scientists in those organizations who swallowed the Kool-Aid, it was the politicians who ran them. The real scientists let the politicians have control because they were more interested in doing science than in dealing with the grind of running such organizations. Postmodernism is a suicidal or self defeating philosophy. If truth does not exist and it is just a matter of taste what we want to believe, this verdict also applies at postmodernism it self. As a matter of taste I have put this philosophy in the garbage bin many years ago. Gad Saad has done videos that brilliantly take apart the crap. Cut and paste it into an email. Send to yourself, then you will have it permanently. …I wonder how many times she’s been called an ” Uncle Tom ” for not toeing the line ? When George LeMaitre’s Big Bang theory was accepted in the latter part of the twentieth century, two physicists from Stalin’s Soviet Union wrote a paper accepting the theory. For that thoughtcrime, one was shot and the other sent to the gulag. As late as 1948, Soviet scientists were forbidden to accept the Big Bang theory. Because “clericalism”. LeMaitre, the ‘father of the Big Bang theory’ was also a Jesuit priest. The alarmists are the Stalinists of today; only they just want the money from the huge enviro business….follow the money, except for the ‘useful idiots’, who haven’t been educated about how science works…it is never settled dogma. They now want to sell their gas to Europe. Something which they are doing quite successfully. And with it’s increasing obligations to serve its renewable heavy fluctuating supply, Europe is in need of more and more gas. Hence, whilst the Kremlin has little interest in spending its own money on off-shore wind turbines – they are extremely interested in seeing that their European neighbours continue to expand such self-defeating plans. European leadership sees nothing wrong with banning fracking and fossil fuels while simultaneously empowering Russia through dependency on its energy resources. Better to serve a foreign master than empower and free your own people. Rallying the public around “clean energy” is how the a EU leaders get the commoners to place their heads under the yoke — or guillotine. Fear to silence? That’s not an “assault on reason” it’s a violation of The Constitution up here in the US. Dr. Ball. Your posts are always interesting, however in this case your use of the Quebec Crisis is sadly misinformed and incorrect. At that time the FLQ was seeking independence for Quebec through the use of force. Specifically kidnapping, killing, and the indiscriminate use of bombs, specifically blowing up mail boxes. Worse, they were getting more radical with every act of violence. The government needed to act and act they did. Further, this was not an act to put down the separatist movement in Quebec. It was an act to stop the radical FLQ, a terrorist organization, not to stop the independence movement. In fact, there were several subsequent referendums on independence in which the Quebec people rejected separation. In fact, it could be argued that the referendums were an act to try and get more power for the provincial government by intimidating the rest of Canada, not the other way around. Whether it is climate science or politics you should be more careful and try to get your facts straight. I agree. The FLQ was like the WUO (weathermen), the IRA, or even the Taliban; that is a terrorist organization intent on setting up a totalitarian state similar to Castro in Cuba. They were not a political party in the way that the Parti Quebecois is. The FLQ needed to be quickly crushed. It is just too bad that Batista didn’t quickly crush Castro. In this sense Tim’s analogy is backwards and poorly chosen much as the Velikovsky example was poorly chosen. I love it when people take a few actually spoken words, insert their own assumptions about the author and their personal interpretations of his/her words and then reply with full confidence against the author as if doing so in an authoritative manner somehow compensates for their irrational, illogical, biased conclusions. It’s amusing to me. The entire point Ball makes with the FLQ reference is that governments can, and have, used “FEAR” to take away the rights of INNOCENT citizens-as if THAT is a perfectly “reasonable” thing to do in crisis situations! (Your response could easily be taken as your endorsement for such a practice ) Dr. Ball doesn’t say a WORD that indicates his views on the FLQ at all! So you attempting to impune him as if you have mind reading abilities while defending the suspension of citizens rights by a totalitarian using FEAR to control his country really only makes you look idiotic while so perfectly proving Dr. Ball’s point about how governments use FEAR to rob people of their ability to reason! Your assumption that there was no other way to combat the FLQ is false. The Canadian Federal Government has the full powers of the RCMP and the law(Parliament would have passed any extra provisions, such as search, that he needed). The reason Trudeau used the War Measures Act was simple.. he was totalitarian by nature.. my way or the highway. That is why he and Castro were buddies. The Republicans are just like Obama when it comes to getting their own way. Just look at the disinformation propaganda for Iraq War II. Look at how the CIA was destroying careers of anyone who got in their way. Look at the lying propaganda in the UK Press about US multinational investment in the UK if we went to war with them, not a single cent of which materialised. I really, really, really, wouldn’t try and make this out as Republican vs Democrat. Until proven otherwise, it should be assumed that every politician, every CEO of a multinational corporation and every intelligence operative uses these techniques on a daily basis. …And the moon landings were fake, and George Bush created 911 and, and……please take your medication, your overdue..ONLY the left is pushing the Glo.Bull Warming Fraud ! In the case of climate, it is pretty much about Republican vs Democrat. And no one has suggested that Republicans don’t use similar tactics on other issues, so that’s a straw man. so there we have it- one fifth of the world’s land mass in just estimated. Throw in less than 3% of the oceans. Yet accurate to .1 C when calculated as a global annual mean. If you gave scientists the sparseness of the GISS raw data and asked them to solve for GAT, you would not only never achieve 97% consensus, you would have a hard time getting any of them to stop laughing. Many of the sensors being used to measure the earth, aren’t accurate to 0.1C. Even if all siting issues were eliminated. Add to that Antarctica, another 10% of the earth’s land mass. Very few monitoring sites there. That’s 30% of the land surface and 97% of the oceans being estimated. Must be a weird world to be a climatology estimator. Spending all day looking at data that isn’t there. Parts of US, southern Canada and parts of Europe are adequately monitored. The rest of the world is not even close. Fear tactics typical of Chicago thug apparatchiks. The unfortunate thing is that such a relative few in the electorate see them for what they are. Who was it that said that tyranny would next come wearing a pleasant smile and nice clothing? My overall comment to Dr Balls comments are that they don’t go far enough, and hence are within the very subject he is discussing. As noted by Philip Finck March 13, 2016 at 6:01 am regarding Quebec, the perception of what and why things happen is mired in the uncertainty of knowledge of the underlying events. This uncertainty is then both intentionally and, in this case, unintentionally used to further some other discussion or agenda. It does not take long for any “fact” based chain to turn to dust. My other concern relates to a more pervasive issue, promulgated by Dr Balls quote (above) by Manjoo “True Enough: Learning to live in a Post-Fact Society”. This missive seems to be relating present behavior to some past behavior (“Post-Fact Society”), which would infer that at some time in the past, we (humans) were better at communicating and or perceiving “facts” than we are today. I have not seen any compelling argument (supported by reality) that supports this is a large sense. While it is easy to selectively recall a time when reporters were honest, and politicians were sincere and police were angels and scientists were steely eyed rationalists, a more honest assessment would likely disintegrate this rosy view of the past. My own observation is that the current “debate” (or lack thereof) related to AGW is just a continuation of predictable human behavior, but I find that I must extend my same skepticism to the notion that we are falling into a pit of irrational “Post-Fact” science. Based on a more rational view of history, I think it is clear, overall, that we are in fact on a trajectory of slowing the power of fear and ignorance on human activity. I use Mark Perry’s blog https://www.aei.org/publication/blog/carpe-diem/ as a reality check, as Perry also does not subscribe to the sometimes popular notion of current gloom and doom (related to the past). I think the bottom line is that today, compared to yesterday, that we are slightly less able to be convinced to pay homage to the local priests. I think we AGW “skeptics” would be better served by encouraging/acknowledging this trend, rather than falling into the same trap and comparing today’s science to some “better” science of the past. We should just listen to what the enviro radicals are actually SAYING and DOING. Many of them know that their predictions of catastrophic humanmade global warming are false and fraudulent, but it suits their purpose to use global warming hysteria as a smokescreen to mask their true intentions. The radical warmists have done everything in their power to starve the world of fossil fuel energy that is required for continued global prosperity. They have squandered trillions of dollars of scarce global resources on catastrophic humanmade global warming (CAGW) nonsense. The radical environmental movement has done equally well, rivaling Mao for fatalities caused by the banning of DDT and the misallocation of scarce global resources on the fraud of catastrophic humanmade global warming. Since many of these enviro radicals are latter-day Malthusians, Club of Rome types, etc., it is reasonable to assume that THIS WAS THEIR INTENTION. Allan MacRae! Any relationship? A nicely written letter to the editor, in this morning’s newspaper. Not a close relative, but clearly an excellent gentleman! Thanks Allen for that list. These public statements show how stupid these people are for revealing their true plans or goals that they surely know are not anywhere near majority views. Pompous drivel from a bunch of self important dufus types. I like George Carlin’s “the Earth has a case of fleas” analogy…nothing serious. Funny, but sick SOB, it seems to me. Those people are lunatics; we were warned of them and it is good that you warn us again. Your “comment” is of the highest integrity, superbly written and is appreciated. “Carbon” the element is also present in very small amounts in the atmosphere in both methane and carbon monoxide, not just carbon dioxide. On a per molecule basis, methane is a much stronger greenhouse gas than carbon dioxide, which the AGW worriers have on their list of things to worry about, and try to prohibit release into the atmosphere. Both only have one carbon and both “simple” carbon compounds. CH4 can oxidize quite rapidly or at least this is what I learned in chemistry? Which that by bulle ygraunted was to me. An hundred mark sith I was pardoner. And telle an hundred false japes moore. As dooth a dowve sittynge on a berne. That it is joye to se my bisynesse. To yeven hir pens, and namely unto me. And nothyng for correccioun of synne. I do lurve a bit of Chaucer on a Sundye. Totalitarianism occurs on the left and the right. If you mean by Left you are describing Liberals / Progressives / Socialists and by Right you are describing Conservatives, please name the Conservative Totalitarians of the 20th century. I’ve heard some say that Conservatives are “Totalitarians”? I believe that’s a lie made up by the Left, Bob. Conservatives, contrary to the incorrect definition posited by the Left, want established values (like honesty, integrity, responsibility and thrift) to endure. We don’t need to be “spreading the wealth” or supporting this anthropogenic climate change meme to already know the results would be disastrous. Just look around you for confirming evidence. On the other hand, maybe Conservatives ARE totalitarian–in that we want total honesty, total integrity, and total responsibility, especially when it comes to fiscal responsibility. The Left’s right to an individual’s money, whether it be through excessive taxation or irresponsible government debt, is tantamount to theft. And nobody but thieves like a thief. Liberal – open to new behavior or opinions and willing to discard traditional values. Socialism – any of various economic and political theories advocating collective or governmental ownership and administration of the means of production and distribution of goods. Conservative – holding to traditional attitudes and values and cautious about change or innovation, typically in relation to politics or religion. Totalitarianism – of or relating to a system of government that is centralized and dictatorial and requires complete subservience to the state. The only connection between totalitarianism and liberal, progressive, socialist, and conservative is that the latter are abused by bad actors to achieve the former. I was once in a discussion thread on the “Mother Jones” website with a person who, quite sincerely, argued ther was no such thing as objective reality. Anyone opposed to this political mass movement has to bear in mind who we are dealing with. In the US, we have a chance to throw the enablers and suckups and fanatics out of office. Anyone who votes for the Hidebeast in the general election deserves what they are going to get–stagnation at best, rapid decline at worst. I was once in a discussion thread on the “Mother Jones” website with a person who, quite sincerely, argued there was no such thing as objective reality. It is imponderable. Realists assume there is, Idealists assume there isn’t, but the best fit hypothesis is that there is, it’s just we can never actually see it, only imperfect models of it constructed by us in our own minds, so to speak. And history ain’t changed . . . In the end, they simply deem it. What I find so strange about these kind of essays is that they seem to assume that AGW is a purely American thing, while actually more or less every other country on the planet (including the likes of Saudi Arabia, China, etc. Many of which couldn’t care less what America wants to do) are fully on-board. Even if the US would stop renewable today it would hardly change the global trajectory. So it seems to me you should be analysis a global phenomenon on a global level and not pretend is all driven by liberals in the US of A. The countries that seem to buy totally into this are the European nations. All those other countries play lip service to the idea, mostly because they stand to be net gainers from the scam. To call China fully on board, when they are currently the worst polluter, with real pollution, seems naive. As far as I know they have selected 2030 as the date for when they will start to reduce. Sure BenBen, China and India are fully on board…by building coal plants faster than Obama can shut American ones down !! LOL idiot ! “Decent analysis”, huh. More like CAGW ideology astro turf, and “renewable energy” cheerleading and hyper-spin. ok, ignoring the spin in the article (like the subtitle), what exactly bothers you? It’s mostly just a collection of facts and extrapolations of current trends. Nothing partisan about that, as far as I can see. And if you see a fact that you dispute, please provide references of course! Drudge has story today about Black Democrat in California being attacked for voting against the California climate change bill. Moderate, pro-business blacks are huge targets because they are expected to stay serfs to the Democrats. What is happening to this woman is quite scary if you read the article. Unfortunately, there are so many sides and so many voices when we are speaking about climate, that sometimes is hard to believe in one or another…. Still, if we came to speaking about climate “criminals”, one especially comes into my mind. It’s the one that started World War II and whose actions on the seas and on the oceans, the naval war, led to climate change, as shown here: http://oceansgovernclimate.com/a-need-to-identify-climate-criminals-for-skeptics-yes/. I’m speaking about mistakes that should never be made! A much deeper fear of many research scientists would be that of looking like an incompetent crank to their peers, out of their depth and unable to keep up with developments in their field. But Tim vaulted right over that hurdle and just kept going. So, you’re saying climate “scientists” don’t care about whether or not they are doing real science, just that they look good to their peers. Interesting. In other words, don’t rock the boat, we like our jobs doing pseudoscience. I saw some newspaper pictures of European demonstrators a few weeks ago, protesting the current Muslim immigrant problem over there, and a lot of the people in the crowd had huge signs with Donald Trump’s face on it! European media is just like American media and is biased to the Left. Way to the Left. We take their opinions about as seriously as we take the opinions of the Leftwing news media in the U.S., which is not at all. Most of their product is Leftwing propaganda. Nope, most Brits fear Trump because they think (rightly or wrongly) that he is a conman and a potentially dangerous loose cannon. Some fear that he will win, others fear that him being nominated ensures a Hilary Clinton win – a lose/lose situation! What happens when a Democratic lawmaker strays from party leaders on a key piece of Gov. Jerry Brown’s policy agenda? One assemblywoman who held back support for a sweeping climate-change bill last year is starting to find out. Protesters have shown up at her local events. Some of her supporters have defected, endorsing Reyes early in the fight. Husing (John Husing, an economist with the Inland Empire Economic Partnership) came to Brown’s aid, arguing that lower-income families might have been harmed by potential rising energy costs that may have resulted from implementation of the provision. Your post belongs in the tips and notes section where they can continue to be ignored. I came across this on the Internet and I was wondering if it makes scientific sense. As part of California’s recycling and greenhouse gas (GHG) emission goals, businesses will be required to collect yard trimmings, food scraps and food-soiled paper for composting, effective April 1, 2016. Multifamily buildings with five or more units will be required to collect yard trimmings, effective April 1, 2016. These organic materials account for nearly one-third of the approximately 30 million tons of waste destined for California’s landfills each year. Doesn’t compost generate CO2, CO, and methane? A statement that is completely true, just doesn’t mean what the average voter thinks it means. Composting (growing nitrogen rich bacteria) has a lower capital cost than other renewable sources such as wind turbines and solar panels. Nitrogen fertilizer takes lot of natural gas and produces CO2. It always amuses me when California watermelons discover science that my conservative Republican grandparents knew. Yes, the statement is true. But doesn’t it ignore the emissions from compost. In other words, what is the net effect? Richard Alley wasn’t pulling any punches Saturday morning. As the Penn State professor and environmental scientist addressed the crowd at the MU Life Sciences and Society Symposium, he made it clear that he was not interested in a debate about whether climate change was occurring or whether people have caused it. Instead, he wanted to give people context and talk about paths to wider use of new sources of energy to substitute for fossil fuels. He held up his cellphone in front of the crowd, an example, he said, of how humans have used science to make incredible things out of sand, oil and “the right rocks.” But, still, some people bristle at ideas put forth by the scientific community. Merkel has already killed her party. It just does not know it’s dead yet. Actually, what we wanted was full membership in the home country, being denied that we separated. Why Obama would choose to interfere in your politics escapes me. Seems you Brits have governed yourselves just fine since before we existed. Why anyone would care about what our egotistical self important President has to say on the subject is a mystery. What hubris! Appeals to emotions such as fear are ‘highly illogical’. When people invite you to learn and something, then give you lists of things you can’t learn and discuss – that’s propaganda – that’s brainwashing. It’s not science. That’s what happened to climate science.